NI Multisim (formerly MultiSIM) is an electronic schematic capture and simulation program which is part of a suite of circuit design programs, along with NI Ultiboard. Multisim is one of the few circuit design programs to employ the original Berkeley SPICE based software simulation. Multisim was originally created by a company named Electronics Workbench, which is now a division of National Instruments. 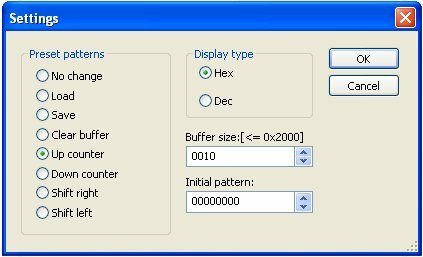 Multisim includes microcontroller simulation (formerly known as MultiMCU), as well as integrated import and export features to the Printed Circuit Board layout software in the suite, NI Ultiboard. 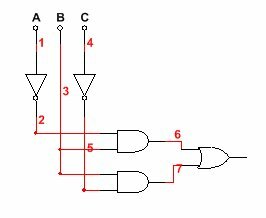 The Programmable Logic Device (PLD) Schematic in NI Multisim enables students to easily learn digital concepts by using familar digital gate logic to translate boolean logic to symbols/simulation. 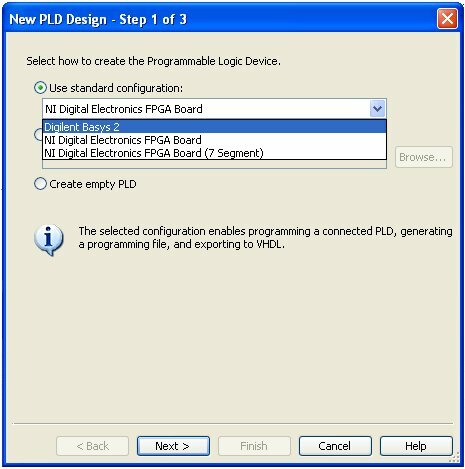 The PLD schematic can also export and translate digital logic into raw VHDL that can be used to program field-programmable gate array (FPGA) technology used extensively in laboratories to reinforce this theory. Digilent Inc. is a leading electrical engineering products company serving students, universities, and OEM’s worldwide with technology-based educational design tools. Digilent offers a wide array of FPGA boards used by educational institutions to help reinforce such theory. The combination of NI Multisim and Digilent FPGA boards offers now a new and powerful opportunity in quickly implmenting simple to medium sized logic circuits. 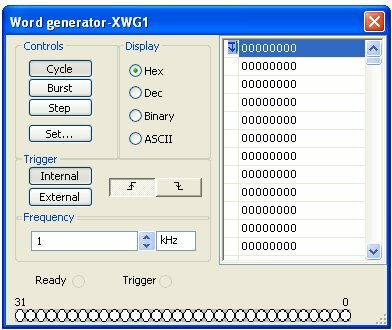 Show step by step how to desing a digital logic circuit in Multisim, simulate, and for proof of concept export as raw VHDL and with specially developed configuration files that program a Digilent Basys2 Spartan-3E FGPA board. Download the attached DigilentBasys2 file. Unzip the file to your local disk. Two files will unzipped: DigilentBasys2.mspc and DigilentBasys2.ucf. Pressing OK the files will be duly copied. 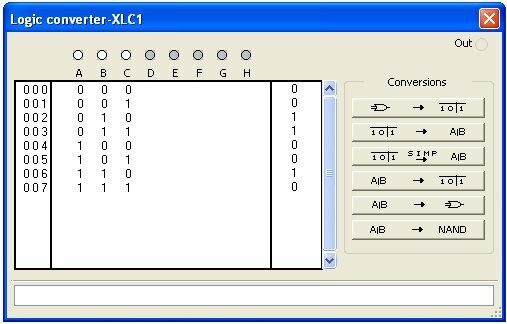 We will next simulate and test the Truth table in MultiSim 13.0. This will start the New PLD Design Wizard. By default it will show NI Digital Electronics FPGA Board. In drop down menu we will choose Digilent Basys2. In Controls press Step button and in Display choose Binary. After you have done this, close the Word generator‘s window. – Programming the connected Hardware – allows students to deploy the digital logic and learn the response of using the hardware. – Generate a PLD bit file – students can take this away and deploy when they have the hardware available. 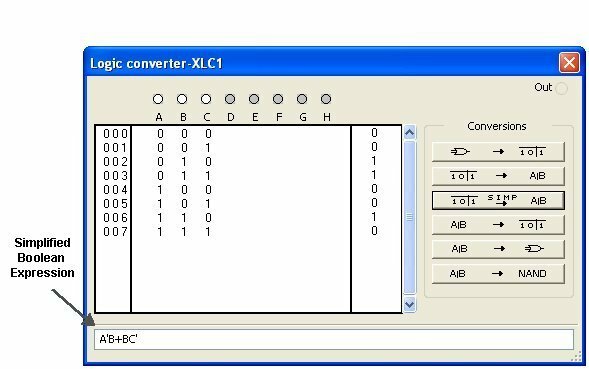 – Generate VHDL file – allows students to explore the VHDL behind the logic. We will focus on programming the connected hardware. Make sure that your Basys 2 board is connected to your PC with USB cable that comes with it. Select: Transfer » Export to PLD from the menu bar. Here you will see the three export options. We want to export to physical hardware so select Program the Connected PLD. NOTE: If you are in a different language Windows OS, like I am, you will need to edit the TEMP and TMP localization in My Computer -> Properties -> Advanced -> Environment Variables, from %USERPROFILE%\Local definitions to %SYSTEMROOT% to avoid XST Synthesis failure as the command lines of compilation do not accept foreign language characters such as ç, õ and others. Of course you will need to restart your PC, after changing Windows’ Environment Variables. We want to program the connected PLD. Click Next. In my environment I have already installed Xilinx ISE Design Suite 14.2. Note that Device Status is not checked. Make sure first of all that Basys 2 board is connected. You may need to install Adept software and make sure that the board is recognised by your PC. Click on Refresh button. Multisim will try to detect the Basys 2 board. Note that Multisim 12.0 does not detect the board. If detected you will see the following reassuring information on this step. A = sw_1, B = sw_0 and C= sw_2. So if you have the key in ignition i.e. sw_0 = 1, i.e. switch sw_0 is ON (pulled up on Basys 2 board), Alarm (Led_0) will sound (Led_0 will be ON) unless seat belt is fastned and door is closed. We are now all done! Mission accomplished! 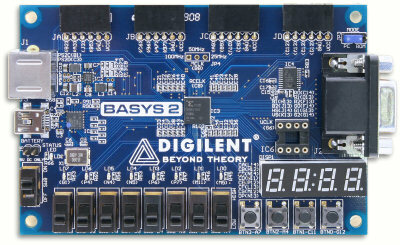 We have shown that one can easily combine Multisim’s industry-standard, best-in-class SPICE simulation environment with Digilent’s technology-based educational design tools such as entry-level Basys 2 FPGA board. 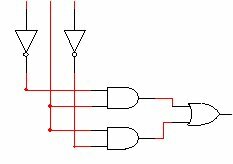 Implementing on the board the logic circuit designed in Multisim is now made quite easy as we have learnt. This entry was posted in Electronic Projects, Electronic Simulation and tagged Basys2, Car Alarm, Design, Digilent, Digital, FPGA, Multisim, National Instruments, NI, Simulate, Spartan-3E. Bookmark the permalink. I work for Digilent Inc and want to thank you for your work on this project. It has been featured on our social media. Welcome to the blog. Thank you Caitilin. You have retweeted our tweet correct? Any other links of your social media posts will be appreciated. Yes we retweeted your tweet. We also featured it on our Facebook page. I saw your tweet and have seen latest tweets. Thank you for promoting my blog. My name is not Redacacia, it is Tayeb Habib. My blog’s name is Redacacia. If you check About you will see why I named my blog Redacacia. Good tutorial, specially the export to VHDL. 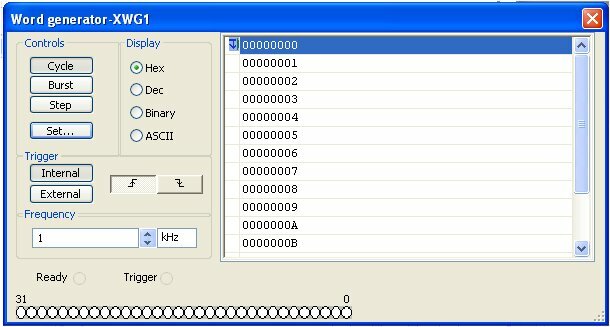 is it possible to import vhdl design into multisim? If you know how to it would be great to see another tutorial on that. No it is not possible. This is because VHDL is a descriptive language. May be one day! Thank you for your kind words. Will try my best to write another tutorial.